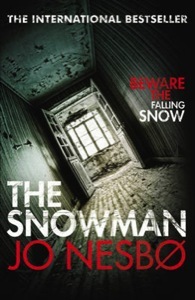 The public has voted and Chris Moon and Yasmin al Naib are the winners of the 2010 Book Video Award for their trailer for The Snowman by Jo Nesbo. The talented young film makers behind the trailer are from the National Film & Television School. Check out the book trailer below. The Book Video Awards is a joint initiative run by Random House and The Bookseller Magazine. Now in its third year, the objective of the Awards is to enable talented young film directors to make high quality video trailers for great books. Students from the National Film and Television School are invited to submit proposals to create a 90 second trailer for a book from a selection presented by Random House. The winners each receive £5,000 to create their videos which are then used to promote the books online for example on author and fan sites, YouTube and retailers. Videos from previous years have also been used in adverts, on TV news and as enhancements for ebooks.